I started to brush hog the back pasture about two weeks ago and noticed the big, old maple that I had rescued from my uncle’s chain saw a few years ago had finally died. It was not the healthiest thing at the time, but I loved it’s shape and how it stood above all the other trees around it. Positioned on the East side of the pasture, the silhouette of it’s canopy was beautiful and majestic against an early morning sky. After eight to ten passes by the old tree with the brush hog, satisfied that I let the old tree finish out it’s life on it’s own, it was now time to harvest the firewood. As I rode back and forth past the tree I studied it on each pass trying to decide how best to deal with it. Part of it’s allure for me in the past, is now a potential lethal hazard. The once beautiful, bifurcated canopy could easily become a “widow maker”. To further complicate matters, an old stone wall was built around the base making good footing difficult if a hasty retreat should be necessary in the felling process. Unwittingly, I must have assigned the felling task to my automatic success mechanism because I spent a great deal of time over the next two weeks thinking about this conundrum. I even think I dreamt about it one night. This Saturday, as I was heading over to finish brush hogging the pasture, I was also eager to study that big maple and finalize my plan of action. As I approached the field I immediately started looking for the tree. I don’t see it… Must not be in view yet… No, it should be right there…. 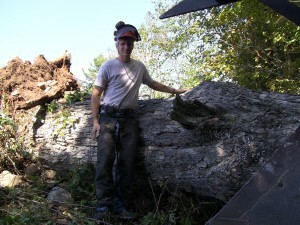 About this time I notice a swath cut in the lower lying tree line… The big old tree had fallen in the wind last weekend. Problem solved! As a child I spent a great deal of time on my father’s heels. So much so, that at my father’s funeral, nearly 13 years ago, I introduced my younger brother (by 14 months), Eric, to a long time friend of my father and the conversation went something like this: Me: “This is my brother, Eric. Friend: “You’ve got a brother? Well, that’s news to me!” (Yup, we’ve had him for 34 years.) No matter where my father was going, I wanted to go with him…the shop, the firehouse, the wood lot, wherever. He was always doing something interesting. I am sure, at times, he got sick of having me in tow. At any rate, I am what I am today, largely because of my father! My daughter, Kate, is living in a small town in northern New York State. There are several Amish Farms in her community. The other day she wanted a cucumber, so she hopped in her car and stopped at an Amish Farm Stand. The gentleman told her they were out of cucumbers and to try the stand down the road. At the next stand there were no cucumbers on display. My daughter asked the young Amish girl if she had any cucumbers. She said no, they were out and asked how many did she need. Kate said she only wanted one. The Amish girl asked what size did she need, just one for slicing? Yes, that’s all Kate wanted. So the girl said, “I’ll run over to the garden and get you one.” She skipped across the road and came back with a freshly picked cucumber. 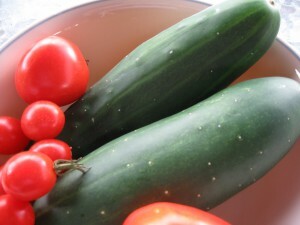 The total for the cucumber and a fresh bulb of garlic was 50 cents! The young girl started to put the cucmber and garlic in a bag, my daughter said she didn’t need a bag , “well, it’s wet” was the reply. She didn’t want Kate to get her car wet. The customer service provided by this young woman was amazing. She was happy to make a special trip to get what her customer wanted, to smile and still charge the standard price. How refreshing to be treated with such friendly service. Of course, this is my daughter’s favorite Farm Stand and her “go to” spot for fresh produce. I’m sure we all can learn a lesson from the Amish Farm Stand, treat our customers with respect, meet or exceed their expectations and smile! They’ll be back! What Information Should Be Put On A Pet ID Tag? Here at Ketchum, we specialize in manufacturing high-quality identification tags for all kinds of purposes. From firefighter accountability tags to rabies tags, we think it’s important to craft durable, long-lasting ID tags that can often mean the difference between life and death for both animals and people. When it comes to pet ID tags in particular, people are often confused about what information to include on the small tag that gets attached to the pet’s collar. We can help clear up the wonderment for you, so you’re not overloading your pet’s neck with multiple tags to get all of their necessary information on them. The first thing that most people do when they find a lost dog is look around to see if there’s any piece of identification on it that lists a phone number. 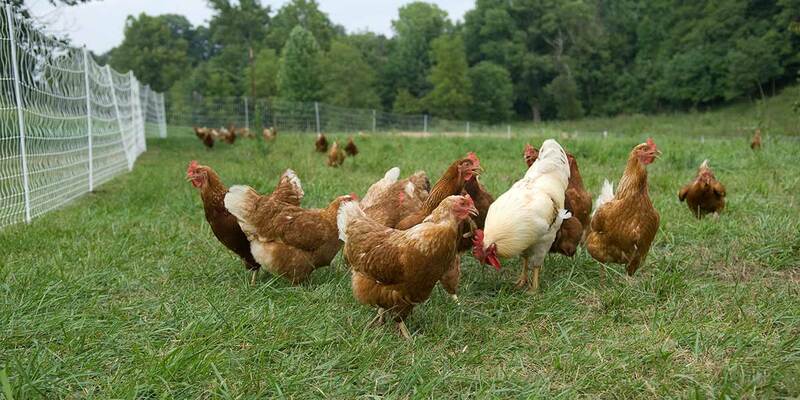 When it comes to pets, most people are very understanding of the fact that they are a member of a family somewhere that is probably frantically looking for them. Your phone number should be easy to read and in large enough print that people will see it immediately. Always include your area code, as your dog may end up traveling farther than you think he ever could. After all, the goal is to get your pet home safely if he ever gets lost, so your phone number may very well be the most important piece of information on animal ID tags. Including your name on your pet’s tag will help someone who finds him make sure they reach the right person at the number listed when they decide to call it. If you aren’t comfortable with putting your first and last name on the tag, simply use your last name. Listing your pet’s name on his ID tag can be a bit unsafe – while on the one hand, a lost dog may be comforted by the sound of its own name, even if it’s coming from someone else’s mouth, on the other hand, listing your pet’s name would make it that much easier for someone who finds your pet to steal it. 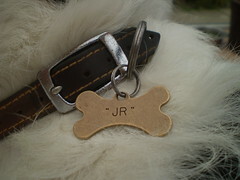 Ultimately, including your pet’s name on his ID tag is your decision and there is no real set standard for it. It’s a good idea to at least include your city and state location on your pet’s ID tag, rather than your whole address. You don’t want people to stop by with your dog, and most are likely to call first before doing so anyway, but including a city and state will notify whoever finds your pet just how far the animal has traveled and how much additional help it may or may not need beyond simply taking it in and calling the owner. If your pet requires any special medical attention, it’s extremely important to include it on his ID tag. That way, if he runs away from home, whoever finds him will know to either take him to a vet or return him to his owner immediately. Some pet owners even include the phrase “Needs Medication” or “Special Medical Needs” on their pet’s tags regardless of whether the animal actually has a health issue or not. Most people will know to call the owner or a veterinary office immediately if they find a dog or cat with this phrase on its tag. It’s an additional insurance that if your pet is found, you will likely be notified immediately. While there is no real industry standard for the information that should be included on your pet ID tags, these simple things can mean the difference between your pet being returned to you or going missing forever. And don’t forget – pet ID tags aren’t just for dogs, we make cat tags, as well! Welcome to the brand new Ketchum Mfg. Co. Blog! We are excited to have a place now to post our thoughts, reactions, stories and general wonderments to share with all of you, our loyal customers and fans. We’re also excited to be making a push with our social media this year – before you know it, you’ll see us on Facebook, Twitter and Google+ so that we can constantly interact with the most important people to us – YOU! It will give you the chance to get to know us, and us the chance to get to know you, as well. Until we get everything up and fully running, be sure to check out our website and all of the products that we’ve always brought you, straight from our historic home in Upstate New York. Thanks for stopping by – and stay tuned for more!